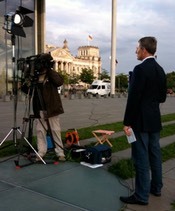 I’m a senior anchor with DW News in Berlin. Additional TV credits include hundreds of live newscasts as an anchor at CNN International. 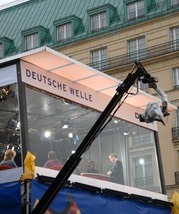 Most of my experience has been gained at Deutsche Welle, Germany’s international broadcaster, where I have been working continuously since 1992. As a live reporter and political analyst I’ve covered the gamut of major news stories in reunified Germany and kept track of cultural developments along the way. I chronicled the process of German reunification and witnessed the EU’s eastward enlargement, experiencing critical phases of European political and economic history. I've provided analysis (mainly live) of national and European elections under three German chancellors, interviewed an array of international political leaders and attended key EU and global summits. 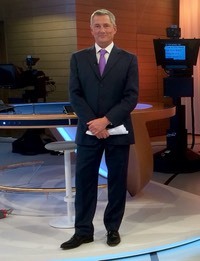 Before the launch of DW News in 2015, I presented diverse news, talk and magazine formats with Deutsche Welle Television including Journal (news), Quadriga (international talk), European Journal (European affairs), People and Politics (German politics), Made in Germany (business), and Transatlantic (German-American relations). From the DW studios in Berlin I’ve anchored sustained live coverage of breaking news and milestone events around the world. I have conducted televised interviews (face-to-face or via satellite) with hundreds of newsmakers and correspondents in dozens of countries. My interlocutors include government leaders, peace negotiators, global CEOs and scientific pioneers. German business and economic issues have figured prominently in my journalistic career. I’ve spent considerable time tracking developments in social market economics, fiscal policy and FDI. In the late 1990s I presented over 150 editions of DW-tv’s weekly business program Made in Germany (corporate beat, frequent location work, special in China).